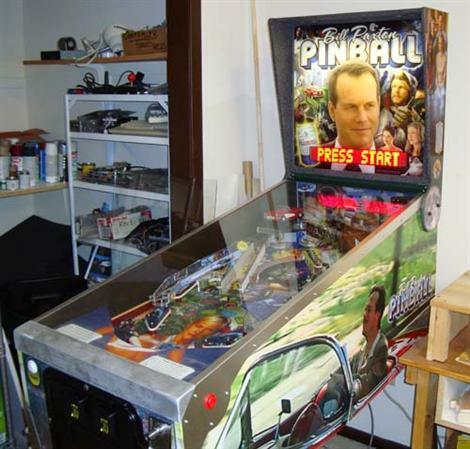 No, your eyes do not deceive you, you are looking at a [Bill Paxton] pinball machine. [Ben Heck], commonly known for his portable gaming system modifications has finally finished his pinball machine build. We’ve had our eye on it ever since [Jeri Ellsworth] challenged him to see who got theirs done first. As you can see, he’s done a fantastic job on the machine itself. He has also documented it fantastically, there’s a build log, a gallery, demonstration videos etc.